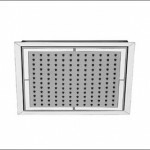 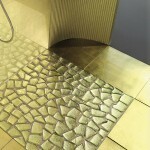 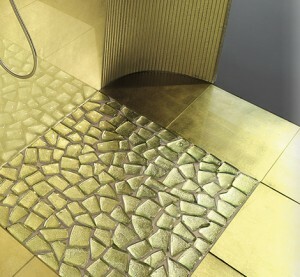 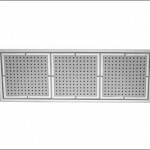 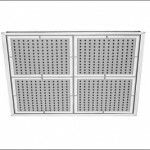 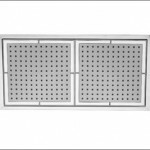 Posted December 29, 2009 by Norburn Lighting and Bath Centre & filed under New Products, Showers . 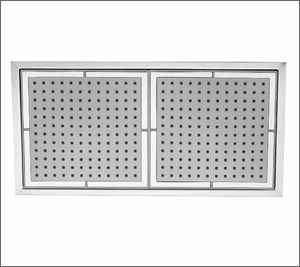 The idea of having larger showering surface to provide more water coverage has been materialized in some new interesting shapes and functions, AquaBrass has taken this idea and created a truly original and elegant product. 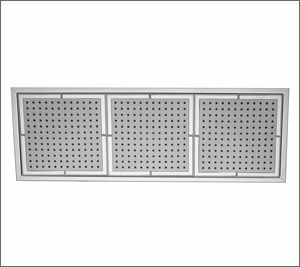 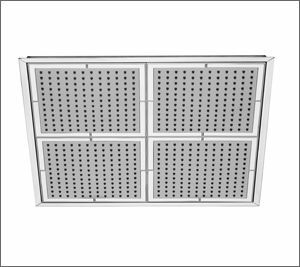 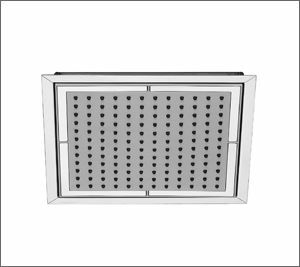 The elegant design turns water into pure pleasure, 4 models to chose from ranging from 8″x8″ to 16″ x16″ The shower is literally designed to bring the rain clouds from the sky directly into your home, the sensation of rain is achieved to the fullest.